New York-based Aegis Capital Corporation has been fined $950,000 by the Financial Industry Regulatory Authority over allegations of improper sales of unregistered penny stock and anti-money laundering supervisory lapses. FINRA asserts that, from April 2009 to June 2011, Aegis liquated 3.9 billion shares of penny stocks which were not registered with the SEC. Through those improper sales, Aegis netted $24.5 million in profits for its customers and $1.1 million in firm commissions. 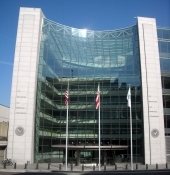 In addition, FINRA alleges that Aegis’ supervisory lapses allowed a broker barred from the industry to control activity in several of the accounts.